iStreamPlanet + Haivision...On Your Mark, Get Set, Go-Live At The Olympics! [SatNews] The solution delivers a premium HD video experience of the Games on a variety of viewing devices — including PCs, Macs®, iPads®, iPhones®, Androids™, and other OTT devices, such as Roku™ players. iStreamPlanet, and Haivision, announced today the availability of the Go-Live Package, a turnkey, end-to-end, live streaming and cross platform video playback solution for the London 2012 Olympic Games rights-holding broadcasters (RHBs). The Go-Live Package provides RHBs with a fast, easy, and cost-effective way to deliver the London 2012 Olympic Games to connected audiences in their regions. The solution delivers a premium HD video experience of the Games on a variety of viewing devices — including PCs, Macs®, iPads®, iPhones®, Androids™, and other OTT devices, such as Roku™ players. iStreamPlanet's London-based Broadcast Operations Center will power the live Internet video workflow using Haivision's encoding technology and multistream player environment, which provides the ability to stream up to 24 live events simultaneously for all 18 days of the Games. 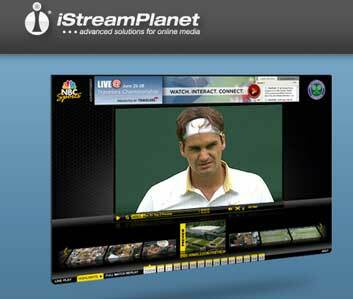 iStreamPlanet is renowned for streaming major sporting events from this facility, most recently including the French Open, UEFA Under 21 Championships, Tour de France and the Championships at Wimbledon. Multiple RHBs throughout Europe and the Caribbean have signed on as customers of the service. "Having worked on live, online broadcasts for the past two Olympic Games, we know how challenging it is to build, monitor, and manage a live video workflow for an event of this size," said Khurram Siddiqui, vice president and general manager Europe of iStreamPlanet. "Partnering with Haivision, and using our London Broadcast Operations Center, we have put together a comprehensive end-to-end solution for broadcasters so they can deliver a great video experience across multiple devices to their audiences." Caribbean sports channel SportsMax is one of the RHBs that will be using the Go-Live package to provide its viewers with Internet access to the London 2012 Olympic Games. "We're happy to showcase our region's athletes, who no doubt will represent the Caribbean well at the London 2012 Olympic Games," said Oliver McIntosh, SportsMax president and CEO. "We would like to guarantee that wherever our viewers are, they are able to access the Games at no cost." The live streaming experience will leverage Haivision's KulaByte™ Internet encoding system, which encodes each HD feed to very high-quality HTTP Live Streaming (HLS) and Dynamic Flash® adaptive bit rate (ABR) streams. The turnkey solution also includes brandable, high-performance player and content management platform technology for all PCs and mobile devices, supporting a complete channel listing and event guide, active DVR playback and controls for VoD content, as well as advertising. "Broadcasters of all sizes are looking toward solution providers to bring the latest technology, techniques, and relationships together to yield the best available viewing experience for their audiences," said Peter Maag, chief marketing officer at Haivision. "The integrated turnkey offering of Haivision's high-quality encoding and player technology, along with iStreamPlanet's exceptional infrastructure and operational expertise, provides today's ideal platform for syndicating content across many diverse geographies." CDN services provided via Akamai's Secure HD Network The Go-Live Package is available to all Olympics rights-holding broadcasters. Pricing information is available through iStreamPlanet and Haivision. Interested broadcasters can contact either iStreamPlanet at OlympicsLive@iStreamPlanet.com or by calling the European sales office at +44.20.3519.1444 or contact Haivision at Sales@Haivision.com.